It's been Sleep Awareness Week (March 6th through March 13th) & sometimes we need a little aide to help us get a good night sleep. I'm someone who knows a lot about various sleep aides from medicinal to natural. 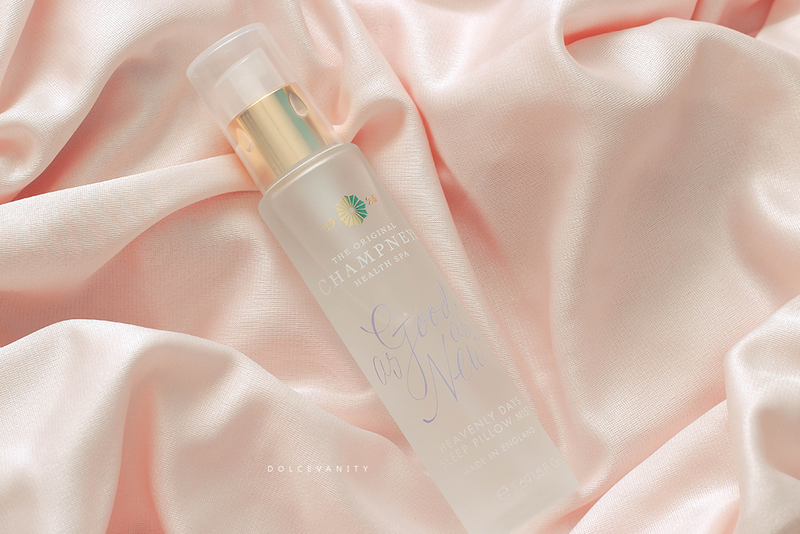 I was sent the Champneys Heavenly Days Sleep Pillow Mist to try out and what a better week than Sleep Awareness Week. Like most people I have bad, not bad and great night sleeps, I can be a somewhat light sleeper but once I'm disturbed in sleep, it leads to headaches and an all around grump. I do try my best to unwind and settle down before bed, with relaxing baths and limit technology so I'm not overthinking anything. These tend to help. I've tried pillow mists in the past and they've always worked good for me surprisingly. 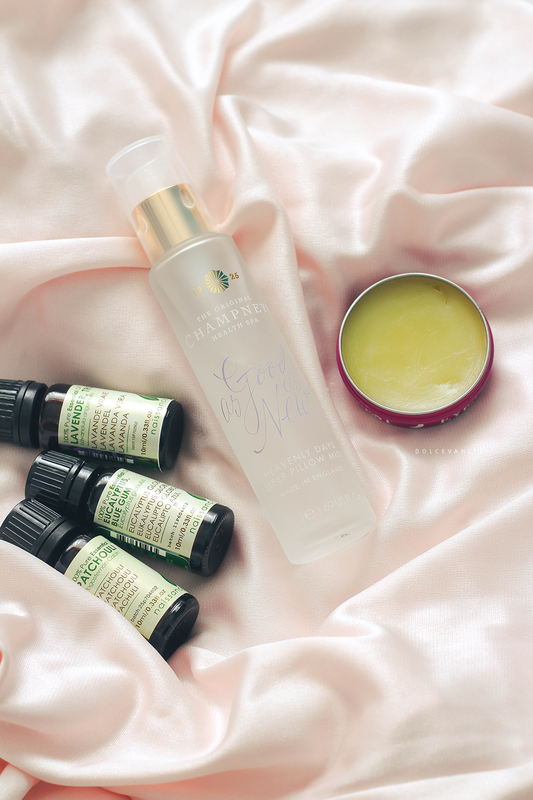 Mentioned previously I've used other Pillow Mists and it's going to be hard to not compare but they've similar oils that are proven to be good relaxant and sleep inducing oils. This contains, Pelargonium graveolens flower oil commonly known as rose geranium, Lavender, Matricaria Recutita flower oil commonly known as chamomile / camomile. All very relaxing scents and commonly used in sleeping aides. My problem was, I didn't realise how strong it was until I used it...I mean really used it, I sprayed about 3x on my pillows and was overwhelmed - you don't need more than one spritz from personal experience - meaning it'll also last you because the second night I could still smell it on my pillow (it could've been because my over using of the product) Upon first spritz it's very strong and I would put that down to the alcohol denat it gives the oils something to hold onto for a more intense smell and longevity. Tip:- Spray your bed sheets & leave to settle before getting into bed, which I think would be better as when you move in the night, the scent will keep activating allowing a nice sleep. I've found if I turn down my bed and spray this and have a bath or shower by the time I'm ready for bed, the sprays had time to settle onto the material and I get a good night's sleep. The smell is relaxing, I can smell the rose & lavender it's a nice combination and very present. I've used this for a few nights this week and it certainly smells nice to inhale as I lay face planted first on my pillow, it seems to help induce sleep. I still had disturbed sleeps but that's mostly because I've got inconsiderate neighbours but it was a lot easier to drift back off to sleep. Ingredients: Alcohol denat., Aqua (Water), Parfum (Fragrance), Dipropylene glycol, Linalool, Citronellol, Geraniol, Pelargonium graveolens flower oil, Lavandula angustifolia (Lavender) flower extract, Alpha-isomethyl ionone, Limonene, Chamomilla recutita (Matricaria) flower oil, Eugenol. Do you have any tips for a good night's sleep?